The four main parameters we observe with these compounds are 1- Inflammation 2- Blood Thinning benefits 3- Oxidative Stress 4- Cancer Prevention. Inflammation can be acute, chronic from oxidative stress due to by-products of cellular function (Free Radicals) or somewhere in between. Despite which type, we all have inflammation and studies have unequivocally revealed reducing inflammation in the body improves quality of life and prevents onset of disease. Ibuprofen / RX NSAIDS are satisfactory short term for relieve of symptoms, however, have no impact on long term health benefits, as they are not anti-oxidants, and have shown repeatedly to increase the risk of heart attack and stroke if used long term. There is no proven benefit to Cancer prevention and the mechanism of action which causes the damage to the inside of the artery leading to heart attack and stroke is not completely understood. With respect to exerting anti-oxidant effects, this group of compounds is not even rated on the ORAC (Oxygen Radical Absorbance Capacity)- which measures the ability of a food or substance to rid your body of toxic free-radicals. Curcumin, the main active compound in Turmeric which gives turmeric its medicinal health benefits, wins out in all categories. Curcumin does not reduce inflammation via one pathway or mechanism, however, affects multiple inflammatory pathways, but most importantly affects the cell signaling pathways directly, thus impacting acute and chronic (Oxidative Stress) Inflammation with much pronounced efficacy. Curcumin via impacting cellular signaling pathways has proven to not only reduce Colo-Rectal and Hepatocellular Carcinoma, however has shown significant impact on other Cancers such as Breast, Prostate & Lung. Part of this is also attributed to Curcumins high ORAC score of 150,000 whereas blueberries are only 18,000, showing its potency as an anti-oxidant. 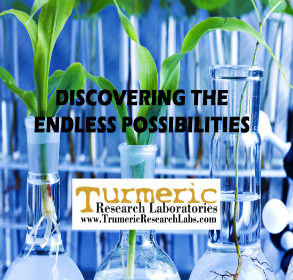 Curcumin positively affects the immune system to combat long term inflammation and immune mediated inflammation in Rheumatoid Arthritis, Multiple Sclerosis and many other Auto-Immune related disorders. Curcumin has actually proven to benefit the arteries to the heart, brain and rest of the body by reducing inflammation and oxidative stress in the inner lining of our vessels, creating better blood flow and oxygen delivery to our cells and tissues. 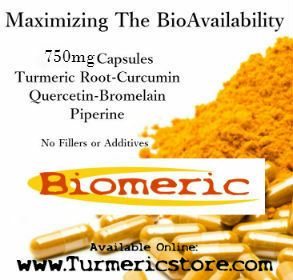 Thus, Curcumin is equivalent, if not superior to aspirin for cardio protective properties. In the midst of an Opioid Epidemic, Curcumin remains the long term solution for relief of Pain from Arthritis, Neuropathy, Auto-Immune & Injury, and remains the single most potent agent without side effects to reduce the Acute and Chronic (Oxidative Stress) in your Body for long-term wellness and relief from pain.